The Iranian-backed terror organization Hezbollah recently unveiled sophisticated missiles and drones that it has used to conduct terror operations against Israel. 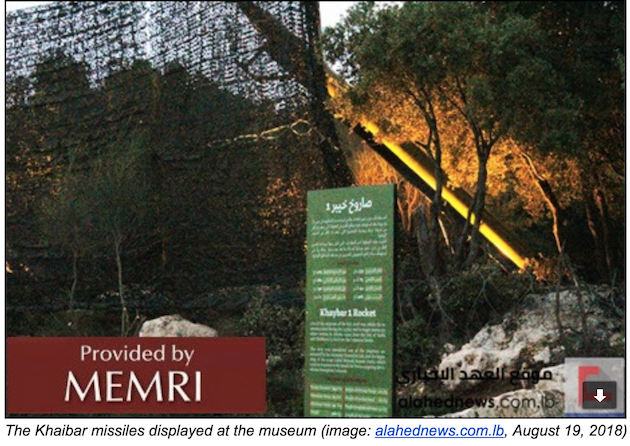 The military hardware is now on display at the terror group's Museum for Jihadi Tourism located in Southern Lebanon, near the border with Israel. The new exhibits highlight the sophisticated weaponry Hezbollah has been using to conduct cross-border terror strikes in Israel. The weapons are likely funded and provided by the Islamic Republic, which uses Hezbollah to conduct militant operations across the region, particularly in Lebanon and Syria. "For the first time, Hezbollah revealed drones and the short-range 75-kilometer Khaibar missile that it used during the July 2006 war with Israel," according to the Middle East Media Research Institute, or MEMRI, which unearthed the information from various pro-Hezbollah media outlets. 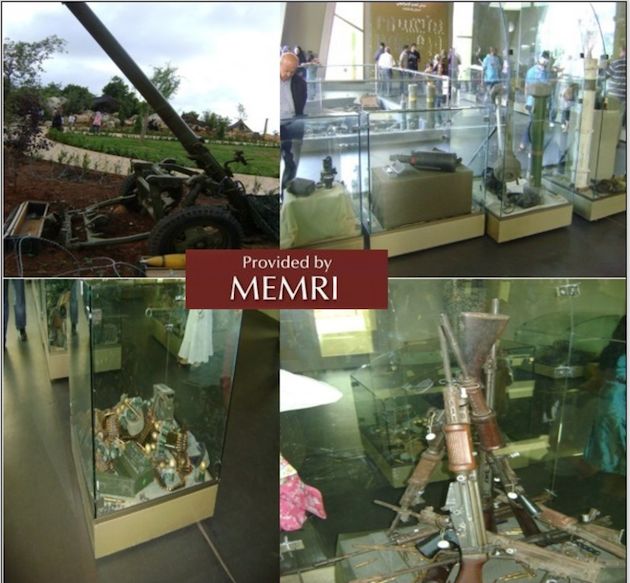 "These are on display as part of a new exhibition held at the organization's ‘Museum for Jihadi Tourism' … [in] Mleeta, South Lebanon, to mark 12 years since the war," according to MEMRI. Hezbollah officials disclosed that, until recently, these sophisticated weapons had not been displayed in the museum, likely to prevent U.S. and Israeli officials from knowing the extent of the terror group's capabilities. "Now drones of several generations, which can carry out a variety of missions, are on display," according to MEMRI. Hezbollah "has a fleet of advanced drones stamped with the emblem of the organization's ‘aerial force,' which first came into operational use during the July 2006 war, and includes Mirsad-1 and Mirsad-2 aircraft." The drones and missiles "were used in the ‘operation for liberating Al-Juroud' in 2017, and ‘took part in exposing the dens of the takfiris" (i.e., Salafi-jihadi organizations)," according to MEMRI, which translated the regional reports. Hezbollah's terror museum opened in 2010 on the site of a former military base used by the group. On display are scores of weapons, drones, and missiles that the Iranian-backed group uses to conduct terror strikes. The museum has since become a destination for would-be jihadi terrorists and others who support Hezbollah's attacks on Israel. "The museum includes a virtual firing range, with laser guns modeled after Hezbollah's weapons," according to MEMRI. "According to a museum worker, this helps the youth visiting the museum visualize Hezbollah's past actions against Israel and enables them to experience the use of weapons and feel like they are participating in the ‘resistance' against Israel." This entry was posted in National Security and tagged Hezbollah. Bookmark the permalink.